This Nazi puppet regime quietly passed laws which amounted to a kind of creeping concordat that eroded French secularism. 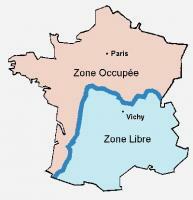 Between 1940 and 1944 northern France was occupied by the Germans and the "free" part, with its capital in Vichy, was a Nazi puppet regime, headed by Marshal Philippe Pétain. In 1942 the French bishops declared their allegiance to Pétain, urging the French "to have confidence in the Chief of State [and] to obey him". 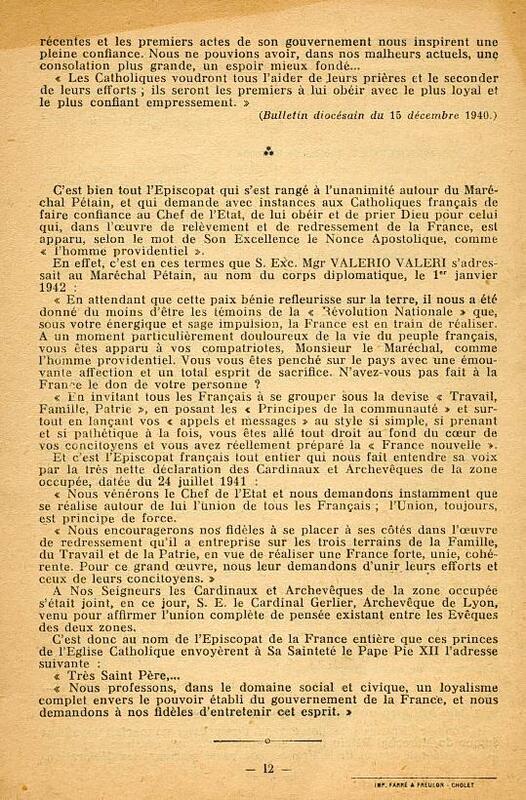 The papal nuncio (the Vatican's ambassador to France) even greeted Pétain as "the man sent by Providence". Pétain returned the favour by granting the Catholic Church new privileges. These have remained on the statute books and have served as the basis for further erosion of the separation between church and state. The Church lent much-needed support to the French head of state, Marshal Philippe Pétain, whose German puppet regime was run from Vichy. In return, Pétain granted the Church privileges which have undermined French secularism. This was Petain’s Christmas present to the Church. It weakened the Law of Separation by letting the state subsidise the repair of any Church property, and it also permitted church institutions to receive bequests, (such as Church-run homes for the aged). Law 1114 was a gift that keeps on giving.